You must be familiar with the quote "You Are What You Eat". I hold this quote dearly and it is why I always make sure what I eat is good. A good food will keep your mood up and your cheerful meter full and these are the key to be a good person. Other than good tasting, my food also has to be easy to cook/make. It will be even better if it comes in a form of wrapped finger food. The thing is, wrapped food usually is time-consuming, but to be honest, I like to do this kind of food; folding and wrapping. Its repetitive but somehow relaxing, especially once I get into the rhythm of work. Perhaps I was a sweatshop worker in my previous live. Today’s recipe is one of my favorite wrapped food. It’s easy, fresh, and no cooking required. 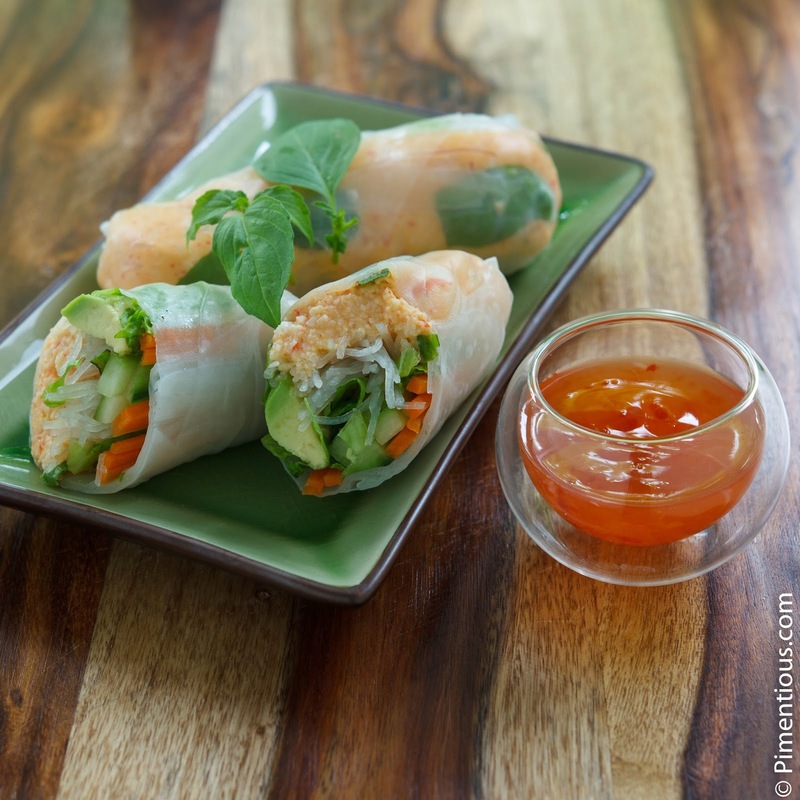 Let’s give a round of applause for this awesome dish: Spring rolls.. Another thing that is awesome about this dish is its very versatile. You can put anything as fillings but my favorite is spicy crab mayo and mango. A nice balance between spicy and sweet. Add thinly sliced chives/scallions, mix thoroughly. Et voila, the spicy crab mix is ready to use. 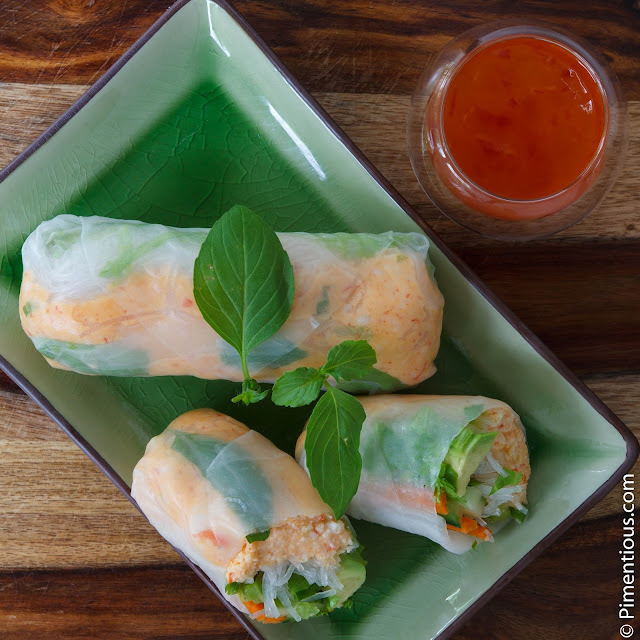 Carefully dip an entire sheet of rice paper into the boiled water, dont burn your finger! PS: I didn't write precisely the quantity need for this recipe because it is pretty hard to measure, I basically go with how it taste for the spicy crab and adjust it along the way. For the rest of the filling ingredients, I usually use 1 small mango and cut it into matchsticks, and try to have the rest of the ingredients like carrot, cucumber and avocado as much as the mango. its easy to make, faster and definitely healthy, i love this recipe and my mom loves too. Recommended!! Glad you and your mom like the recipe, and thank you for trying the recipe.